This Easter treat bag printable is the cutest! 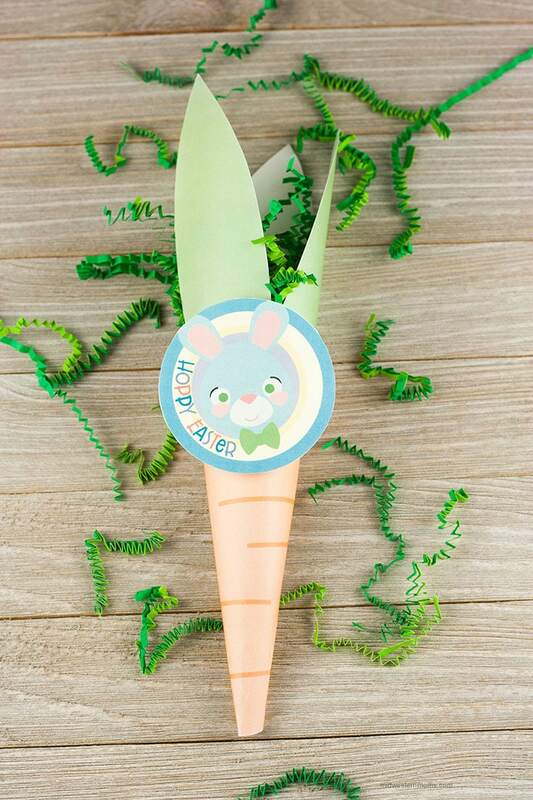 The Easter carrot cone treat bag is perfect for handing out candies for Easter. Even comes with a printable tag! 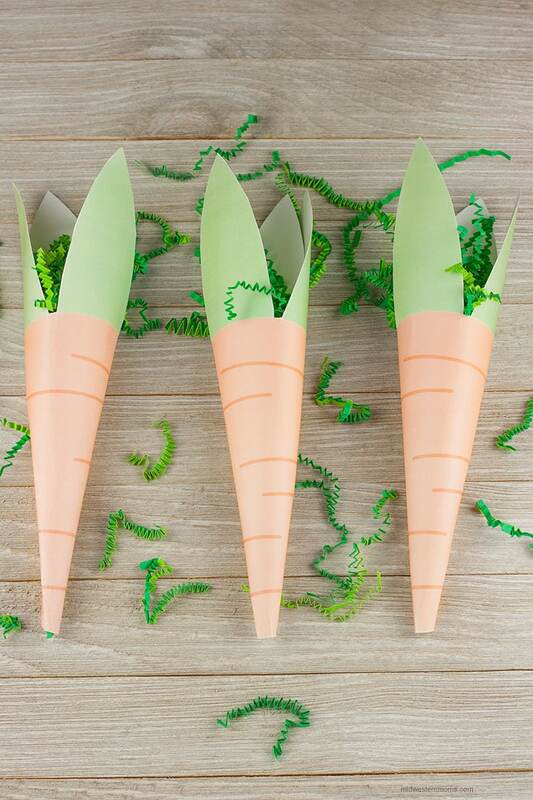 These little carrot cones will hold a few treats. If you stuff with Easter grass, add ribbon to the leaves for a handle, they would make perfect gifts to hang on an Easter tree or on neighbor’s doors! 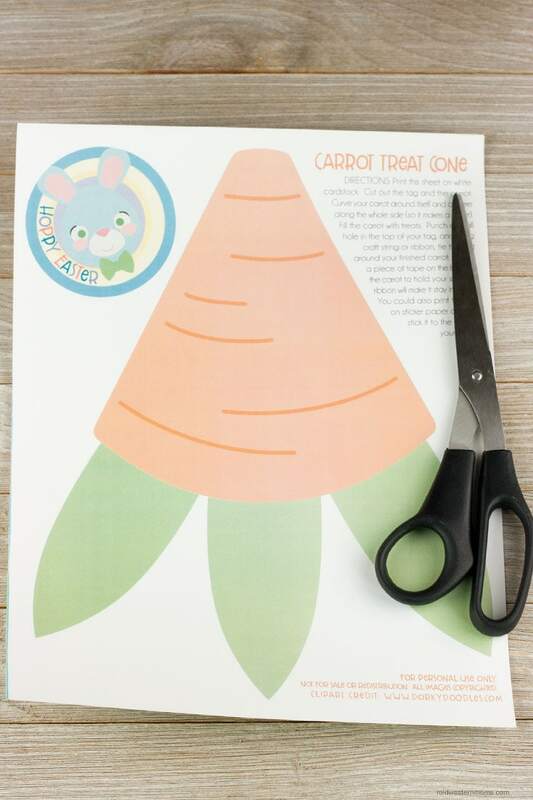 Once you print out your Carrot Cone (see bottom of post) on card stock, cut out the shapes with scissors. Curve the carrot shape around and adhere the sides together. You can use double sided tape for this. Fill with Easter grass and candy. Add the little tag by using tape or ribbon. Then give it to a special person for Easter! To get the printable, you will need to enter your email in the box below. An email will be sent with the link.